Join the fun at Sinnissippi Quilter's for a Skill Builder Workshop! De- mystify with knowledge and skill. And find the FUN of reverse-needle turn applique done the Eye of the Beholder way. Learn all the steps in the process of trace, baste, snip and stitch, and see the beauty of the 7.5” Lollipop Flower revealed as you sew. Come be empowered! You can finish your block as a pot holder, or sew it into a quilt…or make a whole quilt of these adorable flowers. 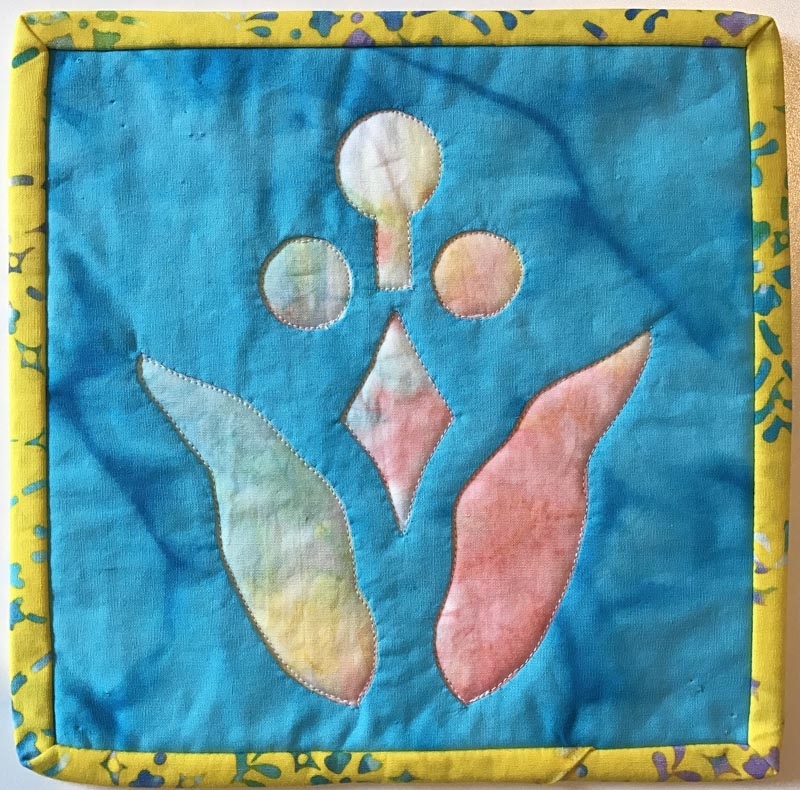 Come learn with others and experience the fun and beauty of reverse applique by hand. Though the focus of this workshop will be sewing by hand, the machine process will also be presented. To finish as pot holder: You will also need a 9” square of batik for backing, 9” square of batting and 2.5” x 36” strip for binding. Enjoy our Trunk Show, "Quilting! A Creative Journey", June 7 at 1:00 pm and 7:00 pm. Contact: Sinnissippi Quilter's at aottens@comcast.net to sign up today!